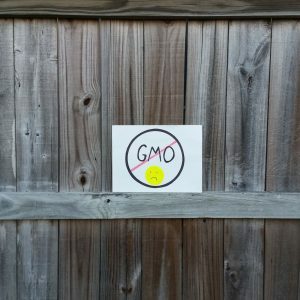 GMOs – Are They Safe? GMOs - Are They Safe? Now that I have a better understanding as to what GMOs are, the next question is….are they safe? At one point, all food used to be “organic” and “naturally” grown. I don’t recall my parents ever being overly concerned when taking us out to restaurants as kids or shopping for food at the grocery store. They didn’t question whether our food was safe to eat or not. They would just buy it, and we would eat it. Boy have things changed! So this is what I’ve learned so far…. There is actually a thing called plant breeding that has existed for over a thousand years where they cross breed parent traits in hopes of producing a desired characteristic. The way I easily came to understand this was to compare it to dog breeding. If you mate a labrador retriever with a poodle, you end up with a “labradoodle”. Nothing too out of the ordinary…they’re both dogs, but just different breeds. Well, some of these scientists are altering crops in a lab, and these crops have already made their way into grocery stores since the 1990’s. Over the last few decades, they’ve engineered crops to have larger yields, fight diseases, and tolerate extreme temperatures they normally couldn’t handle. They also tolerate herbicides, have enhanced nutritional value, longer shelf life, and there are probably more potential benefits I can’t think of right now. But why bother to think of more? These all sound so great! They have finally come up with a solution to grow food in drought countries and can probably even end world hunger! Or have they? And at what cost? From produce to canned and packaged goods, half the items on grocery store shelves today are genetically modified. Off the top of my head, a few of these foods are corn, soy, canola, cotton, and sugar. According to the biotech companies that have done so many tests on the long term effects of GMOs on humans and animals, they are safe. They got the approval for human consumption in the USA. But for some reason, over 25 other countries have done their own safety tests on GMOs and have banned them completely. I was like… What? Wait a minute……. Why? Apparently, there’s this ongoing battle in our country with the food industry and GMO-labeling laws. Some companies don’t want us to know that they are using genetically modified ingredients in their products. If they are truly so safe after all the tests they’ve done, why the secrecy? GMOs have been out on the market for the last few decades. A rise in illnesses have also been occurring over the last few decades. Coincidence? More and more people are suffering from allergies, antibiotic resistant diseases, gastrointestinal issues, and even different types of cancers, to name a few. It makes me wonder why more isn’t being done to investigate this “coincidence”. So in the meantime, if we’re not really sure GMOs are safe, how can we to determine if our food is genetically modified or not?